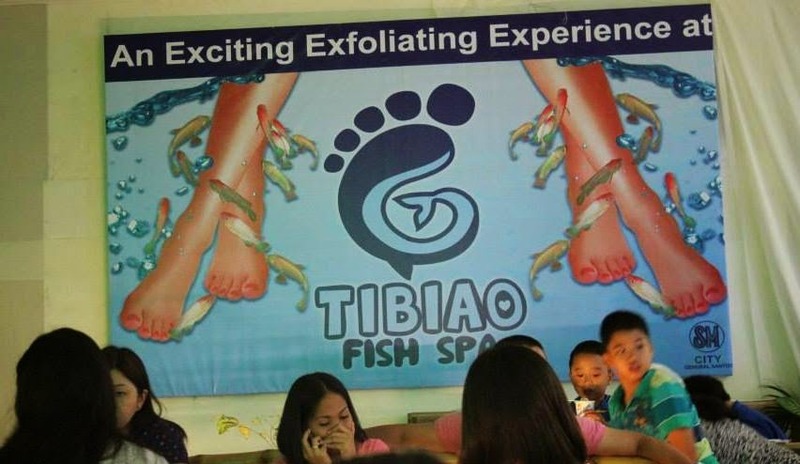 Home GenSan ReView Services Tibiao Fish Spa: Fun. Exciting. Thrill. 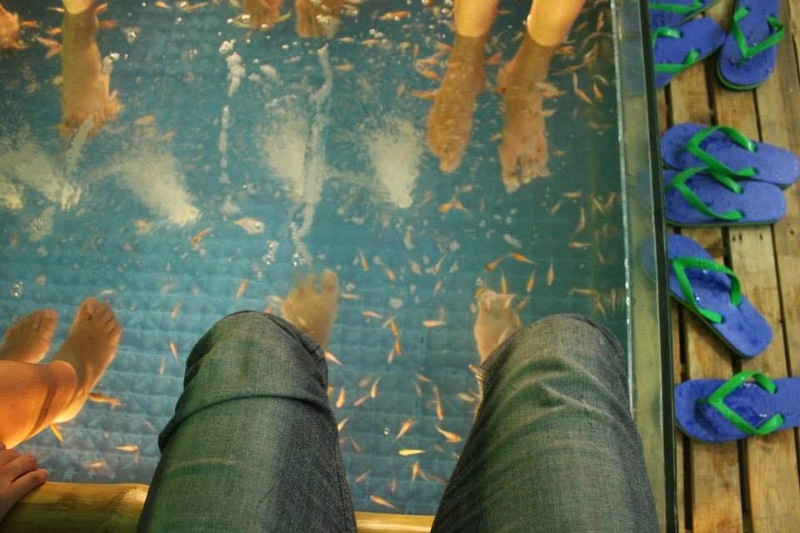 Tibiao Fish Spa: Fun. Exciting. Thrill. General Santos City — Yesterday, March 15, 2014 afternnoon, together with my kindred Google Mapper, we've found the opportunity to spoil ourselves after the tiring GeoWalk event we had at Polomolok, South Cotabato — a close-by town from Gensan. Since we had a long stroll for hours there, so we chose to spoil our feet with an unwinding foot knead; however this time, its something "fishy", its more fun, exciting and thrill. Oh wait! What is this? Well, you'll figure out after the jump. Setting off to a fish spa is not new to me, and fish spa itself is not even new in Gensan, so as in other places in mindanao. 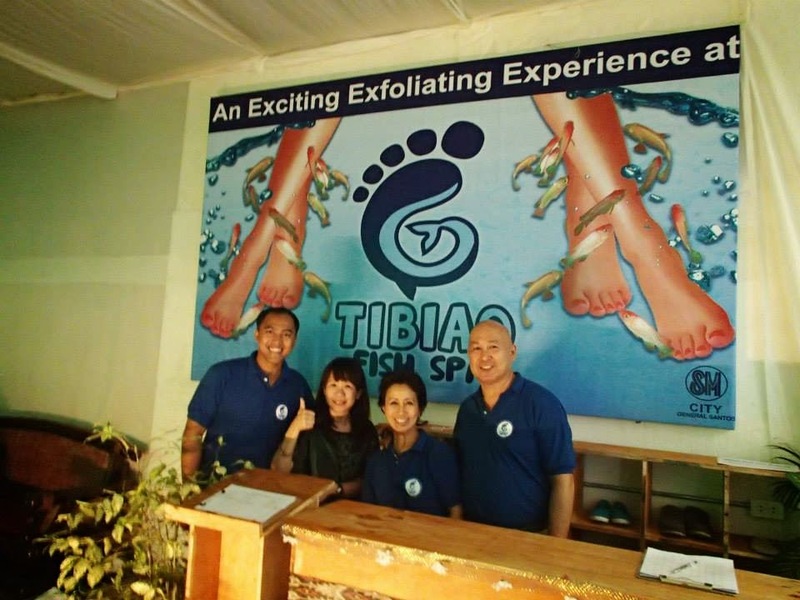 However, Tibiao Fish Spa is the first shopping center based fish spa in Gensan as well as in the island too. To note, they additionally have a branch at SM Pampanga and SM Iloilo to name some. While the fish were getting a charge out of tickling and consuming the callouses of our bare feet, we've likewise found the chance of appreciating a short history of Tibiao Fish Spa from the General Manager himself who is really into Fisheries — Mr. Flord Nicson Calawag. As stated by him, they point of offering another venue for entertainment and relaxation at everybody at reasonable costs. The three at the back in order from left: Roberto Benedicto, +Avel Manansala (Head of Google team in GenSan), Flord Calawag (Tibiao Fish Spa founder). The rest of the gang sitting are the Google mappers and yours truly on red shirt. Tibiao Fish Spa began its wander in Tibiao, Antique in 2009 preceding opening an extension in SM City Pampanga in 2012 where it turned into a hit around locals and travelers indistinguishable. The new venture is in here at SM City - General Santos who recently opened the same date we encountered the tickling, nibbling and kissing of these lovely fish. It's fortunate about these fish is that they're generally found in the town of Tibiao, Antique. I must say, this turned into the advantage of Tibiao Fish Spa around other people who imports fish from different nations. Mr. Calawag calls it THERAfish because of its sandpaper-like teeth that may render helpful profits. 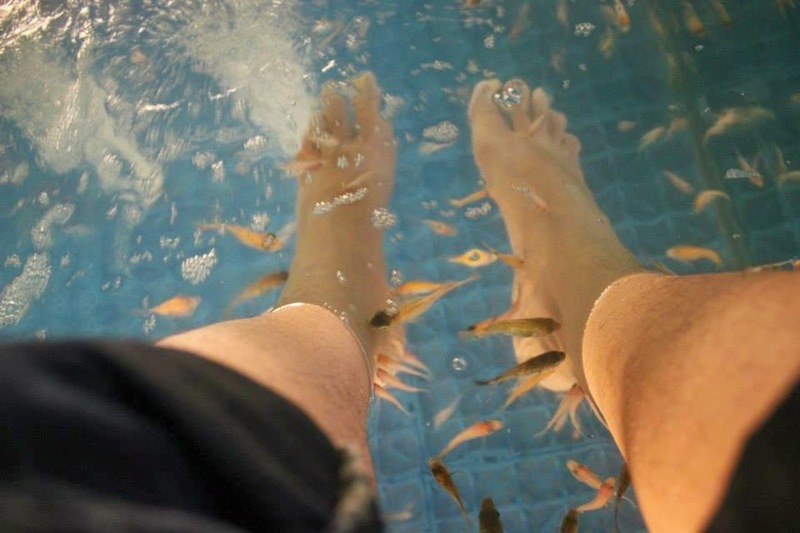 Since they recently began the business in Gensan, they just offering the regular service of fish spa for 30 minutes and foot massage for 5 minutes combo for 199php just. In no time, they will include more on the services rundown and definitely will lift its quality for the clients as well as for the notoriety of the business itself. Without a doubt, I had a FISHtastic experience! For additional data and updates, visit Tibiao Fish Spa on Facebook.